Swaziland’s Minister of Justice and Constitutional Affairs Sibusiso Shongwe was arrested on Monday (20 April 2015), days after arrest warrants were issued against the kingdom’s Chief Justice Michael Ramodibedi and High Court Judge Mpendulo Simelane. 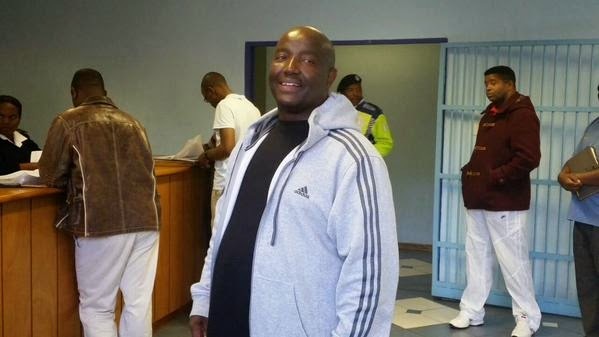 Both Ramodibedi and Simelane have also been taken into custody. They face a string of charges, including abuse of power. Details of the allegations against Shongwe have not been released, but he has been at the centre of an Anti-Corruption Commission (ACC) investigation relating to deposits of E2 million (US$200,000) into one of his firm’s bank accounts. The Chief Justice had dismissed an arrest warrant requested by the ACC against Shongwe last week. The ACC alleged that in December 2014 a total of E2 million cash was deposited into the minister’s law firm’s trust account. The ACC wrote to Shongwe to ask where the money came from but he did not respond. Shongwe is also a close ally of the Chief Justice. Ramodibedi and Shongwe are reported to both be at odds with Prime Minister Barnabas Dlamini. Shongwe alleged that at one Cabinet meeting the Prime Minister threatened to kill him.